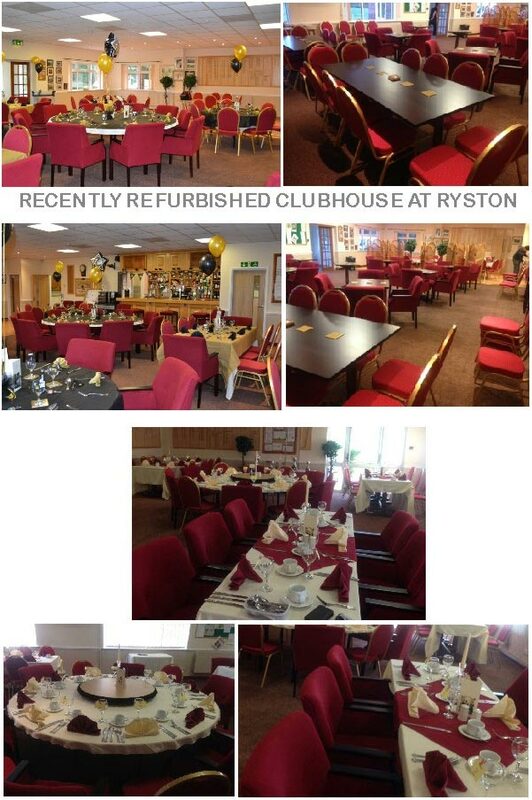 Even on the coldest days you will be assured of the warmest welcome when you settle down to relax in the comfortable Club House facilities of Ryston Park. After a challenging round you will be able to replenish yourself with a refreshing drink from the bar, a piping hot freshly made cup of coffee or pot of tea. In the winter there is a limited bar meals menu from which to choose from. Greene King IPA is the favourite bitter from the bar, which also has a good selection of lagers, bottled beers spirits and soft drinks available. There is also an extensive wine list of reasonably priced wines. There is an active social scene at the club with special events scheduled every month. The good-sized lounge/dining area is available to hire for private functions, weddings parties etc. Please liase with the Secretary for prices and availability. Societies are welcome - Monday to Friday subject to prior booking with the Secretary.